Xnap is a nice, free (gpl) software only available for Mac, being part of the category Internet software with subcategory P2P Filesharing. Since the program joined our selection of software and apps in 2006, it has reached 6,578 downloads, and last week it gained 0 downloads. It's available for users with the operating system Mac OS X and prior versions, and you can download it in several languages like English and Spanish. The software version is 2.5 and the latest update happened on 2/06/2006. 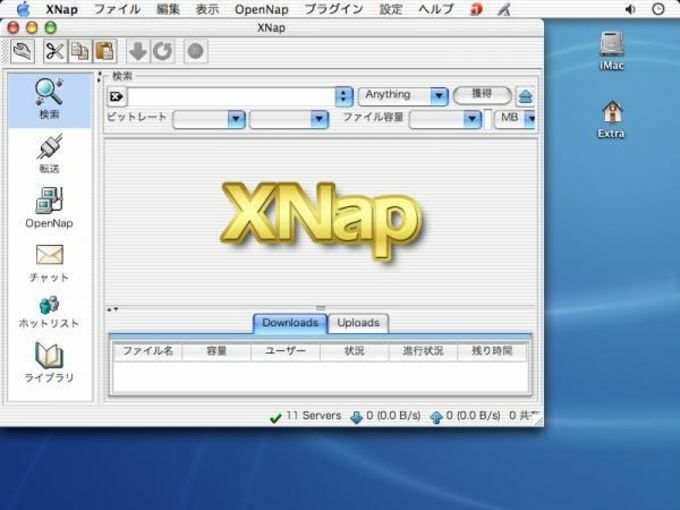 Xnap is a software that needs less storage space than many programs in the section Internet software. XNap provides a plugin enabled framework for peer-to-peer (P2P) applications and a client which is based on that framework. What do you think about Xnap? Do you recommend it? Why?